First and foremost, we are North Dakotans. We believe that is an important distinction because North Dakotans have a long history of supporting each other in business. We were here before the Bakken boom and we'll be here supporting the region throughout its extended development. Ultimately, our success is tied to the success of our investors and our business partners. Mainstream Investors has a rich North Dakota oil and gas pedigree. Several of our board members and majority investors are second generation North Dakota oilers. They can share stories of first-hand accounts by family members of the discovery of oil in North Dakota and the early days of development in the Williston Basin. Our board also includes successful business owners, managers and contractors, all of whom are experienced in building and running successful companies. We are also experienced securities industry professionals. With over 50 years of combined securities experience, we understand capital financing. Our management team has run branch offices and operations for public and private companies. These companies include EF Hutton, Shearson, and Morgan Stanley Smith Barney, to name just a few. Mainstream Investors, LLC was launched in 2012 to invest in and capitalize the unprecedented economic activity taking place throughout western North Dakota. 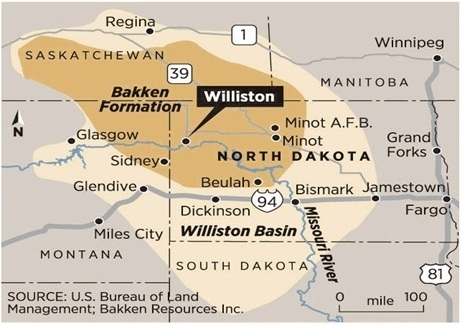 This activity is driven by oil and gas production in the Williston Basin and, more specifically, in the Bakken Formation. 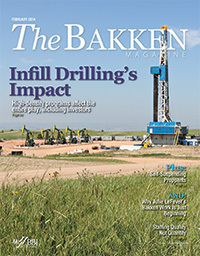 Stretching from southern Saskatchewan through northeast Montana and across western North Dakota, The Bakken Formation and a lower formation known as Three Forks represent one of the largest pools of recoverable shale oil and natural gas in North America. In April 2013, The United States Geologic Service estimated reserves of 7.4 billion barrels of recoverable oil in the Bakken and Three Forks formations. 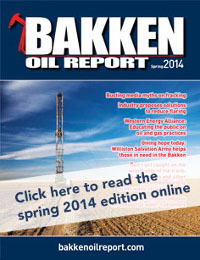 Many prominent oil and gas operators in the region believe the number could be much higher. The various needs associated with the production of this oil and gas, which includes everything from drilling and oil field services to housing and infrastructure expansion have created a tremendous demand for capital. We created Mainstream Investors in response to this demand and opportunity. We acquire leasehold interests (also called "working interests") in producing wells targeting the Bakken and Three Forks formations. We will also purchase royalty interests and mineral interests when we believe they represent a compelling investment opportunity. We may also finance development projects in industries supporting or driven by energy production. At this time, there is a great need for housing, infrastructure, waste water disposal, and oil and gas transport, to name just a few. We will consider these opportunities on a case-by-case basis and may invest in such opportunities through direct investment, financing, or partnership with developers.